Our Express Employment Professionals office opened its doors on June 4, 1990 by Laura Moore. For more than 25 years, we have been a leader in offering employment solutions to businesses and Job Seekers in our community. We help Job Seekers get a foothold in their career by offering a variety of workplace options to meet their time and skill needs. For Employers, we provide assistance through locally assessing their business needs and using our worldwide resources to create the perfect staffing solution. We are proud to be your locally owned and globally powered Hillsboro staffing agency! Our Hillsboro, Oregon team at Express Employment Professionals is on a quest to put one million people to work each year. We are always on the look out for exceptional people looking for a new or better career in the Washington County area, including Hillsboro, Aloha, Forest Grove, Cornelius, North Plains, Gaston, and Vernonia. We pride ourselves on being a reputable and reliable resource for many of the best businesses in Washington County. We get to know our Employers and Associates on a personal level through our comprehensive strategy. For Employers, this means analyzing their industry for the best understanding, determining the requirements and skills needed for their employees, and understanding their goals in order to provide an efficient "just in time" workforce. For Associates, we do this through a four-step process that captures all areas of an employee's skills, expertise, and capabilities, which we then partner with their desired employment industry to find them the best temporary, short-term, or long-term job solution. We are leaders in the United States staffing industry by offering workforce solutions to Hillsboro area employers, including full-time and part-time employees, temporary staff, evaluation-hire staffing, flexible staffing, and short-term or long-term contract staffing over a variety of industries from Light Industrial to Professional posistions to Office Services. We also have a variety of jobs available, including full-time, part-time and temporary positions to fit your schedule and employment needs. Express Hillsboro has invested its time, effort, and interest into the greater Washington County community for more than 25 years. Since we are a locally owned franchise, we emphasize being a company that is small enough to give you the personal care and attention you deserve, with all of the backing of a large international corporation. We offer ongoing educational opportunities, such as our free webinars and annual Refresh Leadership Live Simulcast that are designed to provide relevant, useful information to our clients. Our topics range from Employee Morale and Engagement, Conflict Management, Communicating With and Getting The Most From Your Employees - all FREE. Our Lunch 'N Learn programs can be done in your office and cover a variety of topics such as "How to be the Employee Your Employer Can't Live Without," "Generations in the Workforce", "Learn to Lead", as well as others - FREE. 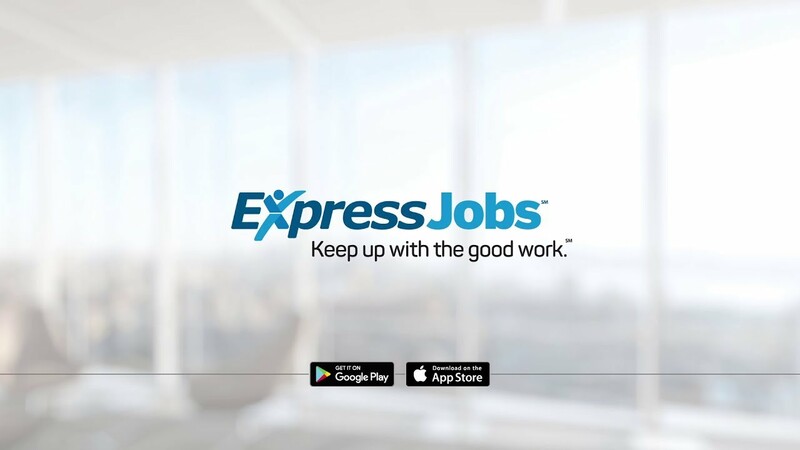 Express Employment Professionals works with Job Seekers to help them find the right job for their skills and experience. We have a variety of jobs available, and there are full-time, part-time, and temporary positions available. And, as one of the leading staffing agencies in North America, Express Hillsboro provides employment services and workforce solutions to Employers throughout our community.